The New Year is rolling around soon and for many of us that means it is time to make those fitness and health resolutions. I am sure I am not alone in the fact that I stink at sticking to my New Year's resolutions. And while I know how important it is for me to exercise so I can be healthy and because I want to lose that last 15 pounds of weight, it is so hard for me to follow through on a fitness plan. While time is always an issue for me, I also lose interest after a while. I guess maybe I get bored. This year I have found something that I definitely think will help me stick to those resolutions. Gaiam TV offers a huge selection of streaming videos including fitness, wellness, spirituality, environment and more! The sheer amount of yoga videos and workout videos they have is awesome. Boredom will no longer be an excuse. Now if I start to get tired of a routine, I can pull up a different video and try something fresh and new. Yoga is something I have always been interested in trying but never actually done. Well, except maybe for a few minutes on our Wii Fit, but I really don't think that qualifies. So the first section on Gaiam TV that I browsed was the Yoga video section. Since I am a newbie, I wanted to make sure I could find something for my (lack of) skill level. Thankfully, Gaiam TV has search filters to help you find the video that is just right for you. I was able to not only search for a Beginner level video, but also for videos that were 14 minutes or less. Even with those very specific criteria, I still was greeted with 3 pages of results. I decided to start off with the Yoga Basics video which appeared at the top of my results. I figured that was a good place to start and ease my way into it. I also noticed a Postnatal Yoga video a little bit farther down on the list which looks like it would be great for moms. While learning something new like Yoga is going to be fun, what I really need to work on is fitness and exercise. Gaiam TV leaves little room for excuses on why you didn't do your workout today. Yes there is a huge selection of workout videos to choose from, including over 20 Jillian Michaels workout videos. If that woman doesn't get you motivated, no one will. After hearing other moms talk about their success with her stuff, I am definitely going to be trying her out. But another feature that makes Gaiam TV great and easy to access is that it is available on multiple devices. 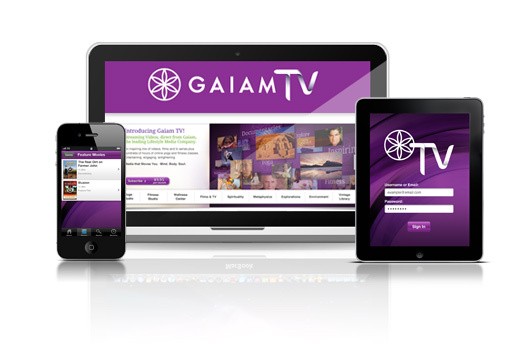 In addition to you being able to access the website and watch videos from your computer or laptop, Gaiam TV is also available on the iPhone, iPad, iPod Touch and is coming soon for Android phones, Roku Streaming Player and Samsung Smart TV. For someone like me with an iPhone, I can now bring my workouts with me wherever I go! This is also another reason for me to get an iPad, because I would much rather view these videos on the larger screen! 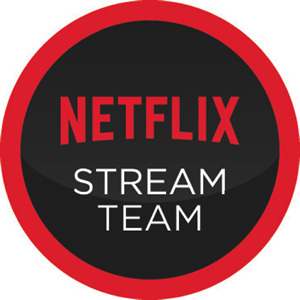 Gaiam TV is available by monthly subscription. A three month subscription can be purchased for $25, six months for $50 and twelve months for $89. Not ready to make a long term commitment? Then you can sign-up for the free 10 day trial offer to see if it is right for you. I used to do a prenatal yoga video by gaiam. It was awesome! That's a pretty cool concept, having it on your ipad to bring with you. It would be good for people who travel for business.